Exciting times here at Merrill Park Superstar headquarters, as with wins by the Memphis Tigers and Kansas Jayhawks in Saturday’s National Semifinals, the wacky formula that we’ve been working on throughout much of the 2007-08 college basketball season is actually starting to look like a pretty useful tool for predicting the likely outcomes of college games. The wacky formula, which as press of time lacks a more clever name or even a more descriptive name, has correctly projected the Final Four (not a big stunner) and the teams that are to compete in the National Championship game on Monday. It also had Davidson reaching the Elite Eight. 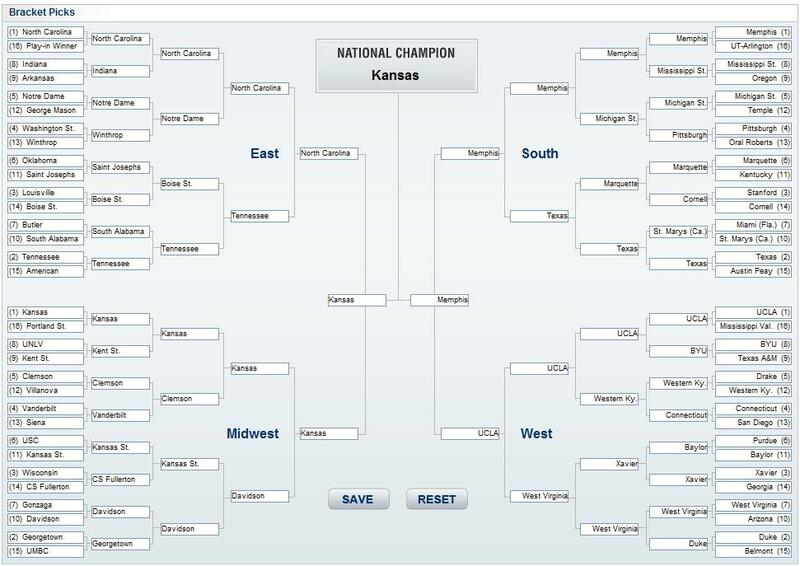 The big issue I found with that bracket, which you can view here, is that the formula called for a lot of first round upsets that didn’t pan out. I actually kind of saw that coming before the tournament began, though, and decided that I needed to modify the formula a bit. As mentioned in this post, I noticed last year that the Pythagorean theorem of basketball was fairly reliable in predicting the tournament. Whereas the wacky formula figured North Carolina and Kansas would end up in the finals, Pythagoras did a little bit better, forecasting a Florida-Texas A&M showdown. The Gators, of course, went on to win their second straight NCAA Championship a year ago.